With urbanization and globalization on the boom, IoT has seen a very promising growth in the market. Acting as a bridge between the physical and the digital world, Internet of Things is enabling various organizations to create a completely different experience not just for themselves but for their consumer as well. In the past couple of years, market statistics reveal that more and more organizations are willing to experiment with IoT because of their higher expectations for ROI from their large-scale initiatives. The KPIs not only indicate operational improvements, supply chain gains, better logistics but also better customer satisfaction. Let us have a detailed insight into the revenue break up of IoT in the market and where it would stand in the coming years.”According to IDC, worldwide spending on the IoT is forecast to reach $772.5B in 2018. That represents an increase of 15% over the $674B that was spent on IoT in 2017. By the end of 2020, close to 50% of new IoT applications built by enterprises will leverage an IoT platform that offers outcome-focused functionality based on comprehensive analytics capabilities. Reports say that the global IoT market is anticipated to nearly grow double in size between 2014 and 2018. 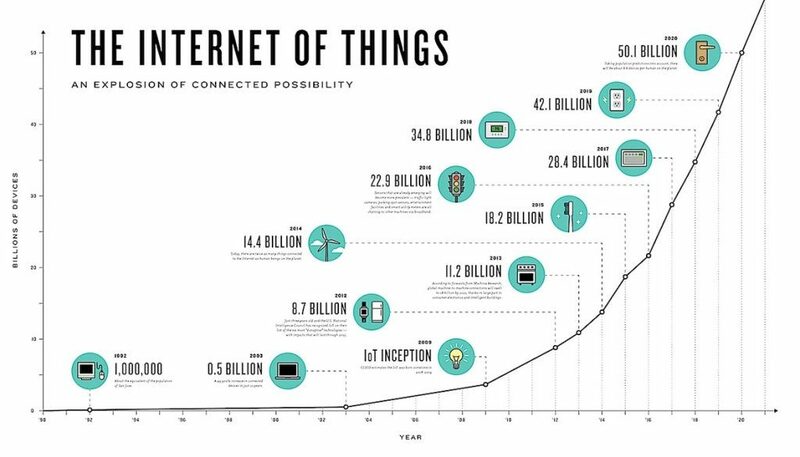 By 2-19, IoT market is estimated to reach a whopping value of 1.7 trillion U.S. dollars and the number of connected devices worldwide are said to reach 20.35 billion. With an estimated increase of 1.15 trillion U.S. dollars in 2014 to over 2.2 trillion U.S. dollars by 2020, the consumer electronics industry is the largest. According to reports, automotive industries spent an average of 93.51 million U.S. dollars on IoT as of 2015. Ranked eighth in average spending, other industries are said to a higher expenditure in comparison to automotive industries. Travel and hospitality industries are the highest investors in IoT. These companies spend 0.6% of their revenue which is an average of 128.87 million U.S. dollars. The consistent regions thriving in global IoT are mainly North America, Asia Pacific, Europe, Latin America, and the Middle East and Africa, among which North America dominated the market in terms of revenue in 2015. Within this, IoT Analytics and IoT Security are said to reach 17 billion U.S. dollars and 23 billion U.S. dollars respectively. Apart from these, an increased inclination for smart devices and connected gadgets in the Asia Pacific regions, mainly India and China, have fuelled a higher demand for IoT technology in these areas.